Mary is a stylish girl who loves her sheep! Mary is a full sister to On the Lamb Spin. She has trialed in both AKC and AHBA, and is a real sweetheart at home. Mary passes her excellent temperament, drive, and working ability along to her pups. Mary passes her sweet temperament and stylish work on to her pups! Rowdy is the jewel of the Ace/Mary litter, he has all of his dad's style and power, with Mary's sweet temperament and a unique look. On the Lamb Truly Madly Deeply "Tru"
Tru takes after Mary's mother, Sleet. She is easy to train, with a strong eye and the right amount of power. On the Lamb Purl Jammin' On Outta Here "Purl"
Purl is an easy dog to live with. 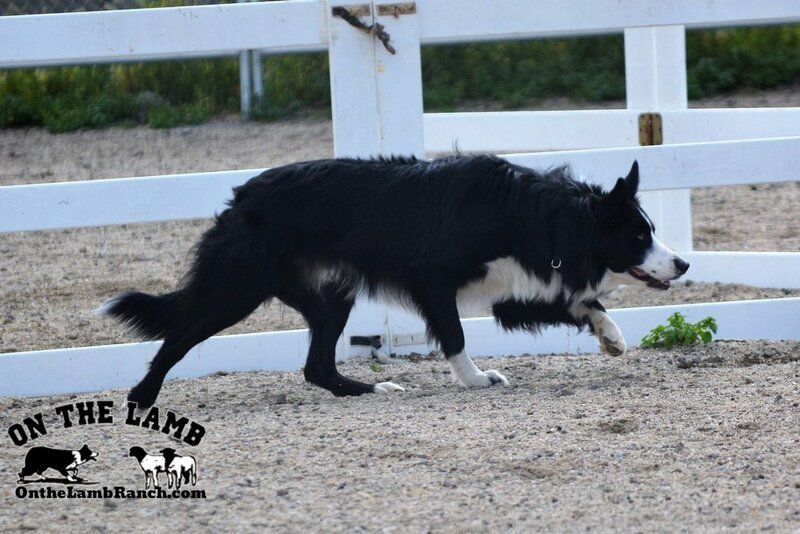 She competes in herding and nosework.